For Baykeeper, the rainy season means testing polluted runoff flowing from shoreline facilities into the Bay. Over our last 30 years defending the Bay, we've held more than 200 companies accountable for polluting the Bay with contaminants like mercury, oil, and other dangerous toxins. 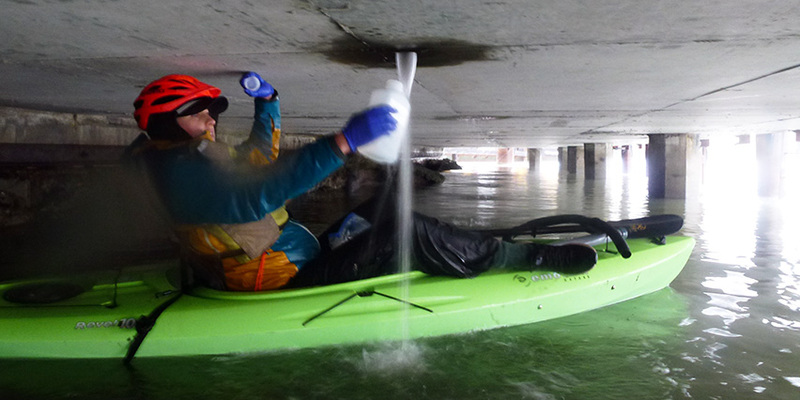 During a choppy rainstorm in early January, Baykeeper Field Investigator Sienna Courter (pictured) and Staff Attorney Ben Eichenberg used kayaks to sample storm runoff from a suspected polluter on the Bay shoreline. The team is currently reviewing the lab results and will take legal action if we find harmful levels of pollution.